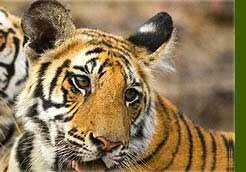 India has to boast an abundant wealth of wildlife. And the regard that Indians show towards the animal species is also an essential part of the Indian culture. As the population of the wildlife species begins to swell and the need for industrialisation, rehabilitation and urbanisation arises, there is posed a big threat for the wildlife habitat. Consequently, forests are destroyed. Around 66 species of mammals, 38 species of birds and 18 species of amphibians and reptiles along with 3 species of crocodilian forms are very rarely found and thus have been listed as threatened species. 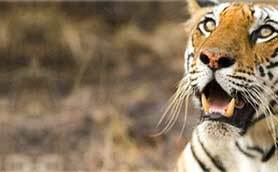 A few of those that face threat of existence include the Royal Bengal tiger, the Asiatic lion, Hangul deer of Kashmir, Indian hunting cheetah, swamp deer, black buck etc. Therefore, to cope with the deteriorating situation, the central and the state governments have taken serious measures by creating the Protected Areas. A protected area is established to afford protection to the wildlife species as well as their habitat. 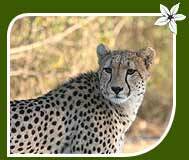 Primarily, the term refers to national parks and sanctuaries, along with game reserves and biosphere reserves. 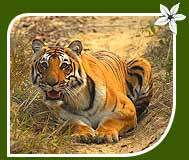 In the year 1972, the Government of India also ordained an all-inclusive legislation known as the Wildlife (Protection) Act. Thus, the protection of wildlife species and the endangered animals was completely legalised. Under the above-mentioned act, the State Government has the authority to declare any area as a sanctuary or a national park, with a view to protecting, propagating and developing the wildlife as well as the environment.